Charles Sedlak Learning Acoustic Guitar download free. If you are simply a man or woman who wants to discover effective beginner guitar lessons very quickly, this is for you. With this acoustic guitar lessons DVD, you can discover tips & techniques to play acoustic guitar easier than ever before! Start playing guitar today with international recording and touring artist Charles Sedlak. Learning chords, strumming techniques, arpeggios and progressions have never been as fun or as easy to understand as you will find in these fully interactive and truly entertaining videos! Charles shows you his tips and tricks to get you started playing acoustic guitar right away. He will show you the proper form, technique and strumming patterns that will impress your friends and family as well and most importantly, yourself. The Instructor does a good job of giving you a introductory lesson in playing acoustic guitar.. not too slow… not too fast. He covers proper playing position, tuning by ear and how to use a tuner. He breaks down good basic chords to get you going. He also covers some progressions and various strumming patterns. 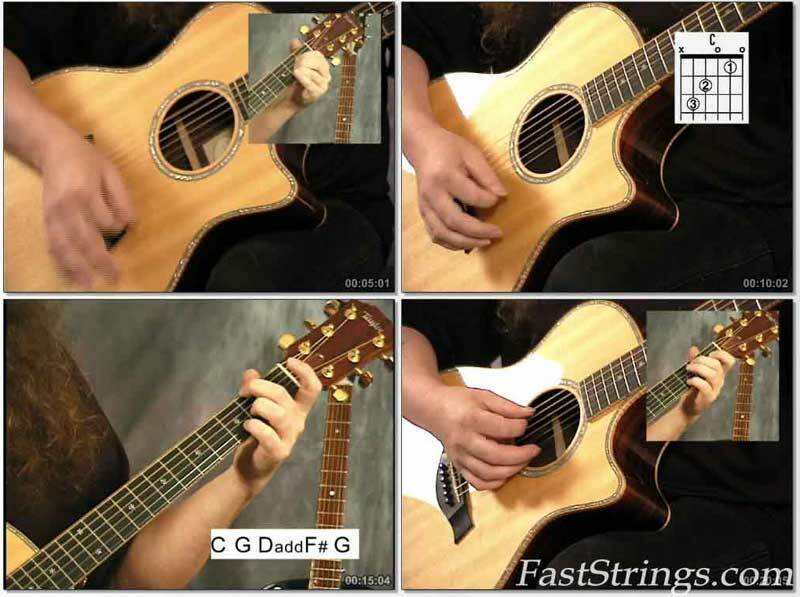 The Learning Acoustic Guitar DVD also features more exclusive bonus guitar techniques as well as a fully interactive chord chart!